Iowa Personal Injury Accident Injuries Types | Hupy and Abraham, S.C.
Have You Suffered One of These Injuries in an Iowa Accident? No one else is suffering the exact same injury that you are suffering because of your recent accident. The injury that you are suffering is personal and based on the type of accident that resulted in your injury, how the incident occurred, and other factors. 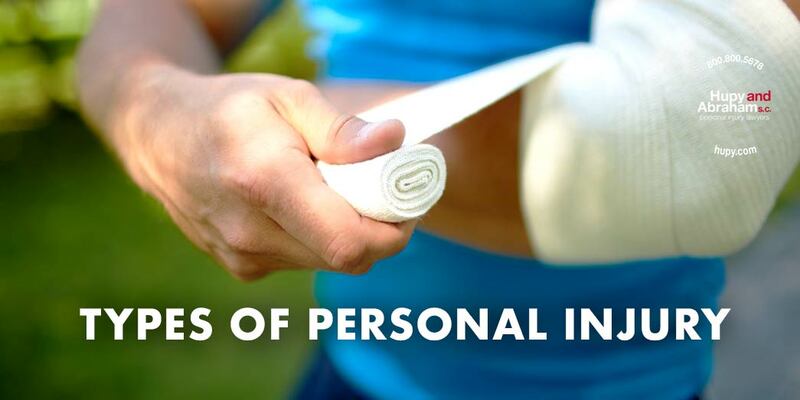 While every injury is unique, there are some common injuries that are suffered in personal injury incidents. If you have suffered any of the injuries described below then we encourage you to reach out to us directly at any of our Iowa locations in Cedar Rapids, Des Moines, or the Quad Cities. Amputations. The loss of a toe, foot, leg, finger, hand, or arm can be devastating whether it happens at the accident scene or later due to an accident injury. Brain injuries. A brain injury can be life-changing, but how it changes your life depends on the specific area of the brain that was hurt. Accident victims may suffer from physical, emotional, cognitive, language, and other difficulties after a brain injury. Broken bones. Broken bones may heal within weeks, or they may take longer depending on the complexity of the break, the specific bone that was broken, and your overall health. Burns. Burn injuries can be extremely painful and require ongoing medical treatment to manage pain, to treat scars and to prevent infection. Spinal cord or back injuries. A complete spinal cord injury will leave you paralyzed below the point of injury. An incomplete spinal cord injury can result in changes in sensation, movement, and other bodily functions. Back injuries that do not involve the spinal cord can also be painful and limit your ability to complete activities of daily living. Pregnancy complications. Both pregnant women and the babies that they are carrying are at risk of suffering significant and potentially life-threatening injuries in personal injury accidents. Additionally, you may be suffering because of a loved one’s wrongful death in a personal injury incident. All of these injuries can be life-changing. Nothing can undo the physical pain and emotional suffering that you experience because of your injury. However, if someone else’s negligence caused your injury or your loved one’s death, then you may be able to recover damages for your financial losses, your pain, and your suffering if you take action. Talk with our experienced Iowa personal injury lawyers today to learn more about your rights and recovery. You have nothing to lose and much to potentially gain. Contact us online or call us directly at 800.800.5678 to schedule your free consultation. We will only be paid if we recover damages for you. ?What should I do if my child is hurt getting on or off an Iowa school bus? ?Are punitive damages possible in an Iowa personal injury case? ?How long do I have to file a personal injury lawsuit in Iowa?